What Are Skin Care Options? What Are My Skin Care Options? You have a variety of choices for skin care. 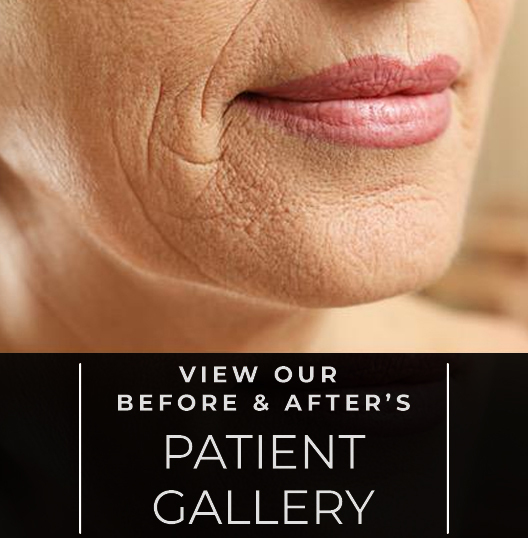 During your free consultation with Dr. Aycock, you will learn more about your specific skin type and how to treat it. Options may include laser skin resurfacing, chemical peels, or types of plastic surgery that lift and tighten the specific area. Your skin may also benefit from microdermabrasion, an exfoliating technique that helps remove dead skin and renew the skin layer underneath. For more complex problem areas, chemical peels (also known as chemosurgery) can remove tired, sagging skin, revealing tighter, more youthful skin layers underneath. Want something more nourishing on the surface? Dr. Aycock offers a variety of facial treatments from exfoliation to luxurious European-style facials that include specific pressure points on the face, neck, and shoulders to stimulate circulation and improve skin’s natural elasticity. During many skin care treatments, a solution of naturally occurring alpha hydroxy acid is applied to help tone and improve skin’s moisture retention and give your face that healthy glow. More complex skin treatments include laser treatments, which are used to treat spider veins, unwanted hair, and hyperpigmentation. Cleaner, more improved skin texture with fewer breakouts or less acne scarring. Younger-looking skin that minimizes wrinkles and depressions. Softer, smoother, evenly toned, totally touchable skin you’ll be proud to show off. Chemical peels have proven successful in restoring wrinkled, sun-damaged, and blemished skin and may be applied to the entire face or specific areas such as the mouth or forehead. A Jessner Peel is excellent for exfoliation and improvement of the overall appearance of the skin. The PCA Peel will even skin tone and provide more exfoliation for oilier, thicker, and more resilient skin types. It is effective on extremely sun damaged and thickened skin. Cleanse, exfoliate, extra, see beautiful skin! Learn more. This facial is for over-active oil glands. The deep pore acne facial focuses on deep pore cleansing and extractions and is done along with a clay masque to decongest and clear the skin. The European facial is a luxurious, personalized facial to meet your skin care needs. Skin analysis is performed, as well as exfoliation, extractions, and the appropriate masque for your skin type. The European facial is accompanied by a pressure point massage for optimal results. Hands, neck, décolleté, and shoulders get special treatment as well. Laser treatments are used for the treatment of spider veins, hyperpigmentation, hair removal, and facial rejuvenation. Learn more about cutting-edge Sciton® Laser Treatments for a wide range of skin issues and hair removal. We also offer a number of other treatments for the completion of your look, including face and body waxing and eyebrow and eyelash tinting. Before your skin care treatment at either our San Francisco or Bay Area office, you should gently cleanse your skin and not apply any kind of lotion or perfume. Depending on the procedure being performed, you may be asked to apply a specific solution to the skin (such as in the case of chemical peels) to make the removal of the top layer of skin more uniform. Full instructions will be given to you before your treatment regimen begins. Your recovery will depend on the procedure being done and your skin’s natural ability to heal. For example, getting a facial or injectable dermal filler takes a short time, and you can return to your normal activities right away. More complex or involved procedures such as implants or lifts may take a week or more to recover. You will receive full recovery details plus answers to your questions during your free consultation with Dr. Aycock. Or click here to submit your info.